Typically it is recommended that colorectal cancer screening should start at age 50 or earlier based on the risk factors determined by their primary care doctor. These risk factors include family history of colon or rectal cancer and overall health. Earlier this month, the American Cancer Society issued updated screening guidelines to begin this regimen beginning at age 45 and repeated every 10 years for those of average risk. Screening includes colonoscopy and other forms of visual tests, as well as stool-based tests. Lung cancer is the leading cause of cancer death in both men and women. These poor outcomes are due, in part, to the late diagnosis when the cancer has spread outside of the lung. Early detection of lung cancer through low-dose CT scans has proven to be an effective way to reduce mortality and improve outcomes. The U.S. Preventive Services Task Force recommends yearly lung cancer screening with low dose CT scans for people who have a history of heavy smoking, are still smoking or have quit within the past 15 years, and are between ages 55 and 80. Your doctor can best determine if this form of screening is right for you. Low-dose CT scans are covered by Medicare, Medicaid, and most insurance plans for individuals at high risk for lung cancer and meet certain criteria. 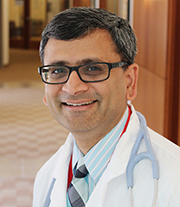 To help reduce the incidence and mortality of colorectal and lung cancers, Rutgers Cancer Institute of New Jersey established and is leading ‘ScreenNJ,’ a collaborative project of various healthcare organizations and the NJ Department of Health to improve cancer screening, prevention and education, ScreenNJ is dedicated to reducing cancer incidence and mortality in New Jersey. The Rutgers Tobacco Dependence Program is another great resource to help dad stop smoking. There has been much controversy over screening for prostate cancer in recent years. The general recommendation has been for men at average risk to begin this screening at age 50 through a digital rectal exam and/or a prostate specific antigen (PSA) blood test. Men should discuss their health history, personal health preferences and other factors to determine risk and when to begin this screening and how often. According to the American Cancer Society, skin cancer is the most commonly diagnosed type of cancer in the United States. Whatever your age, you can protect against the many forms of skin cancer by doing a self-examination or seeing a dermatologist or other healthcare professional. By regularly checking for changes in moles (size, color, diameter, symmetry) you have the opportunity to address any concerning areas early. Wearing a hat, seeking shade during mid-day hours and wearing sunscreen throughout the year are other ways to protect against skin cancer. 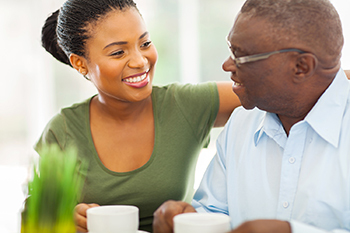 Discussing a regular screening regimen with one’s primary care physician, where factors like family history and overall health history can be part of the conversation, is the best way to keeping dad and all family members healthy.